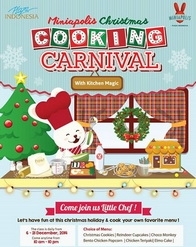 Let's Join Christmas Cooking Carnival at Miniapolis Plaza Indonesia, 6-20 December 2014! 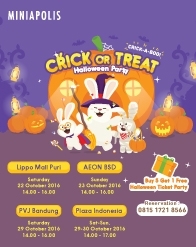 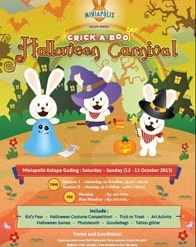 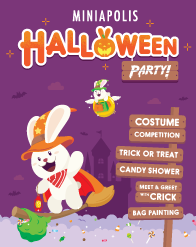 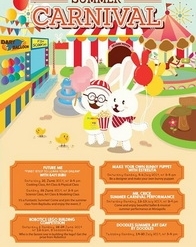 Have a wonderful Summer Holiday with Mr.Crick the cute Bunny from Miniapolis, on "MR. CRICK SUMMER CARNIVAL" start June 21st until July 20th'2014 every Saturday and Sunday. 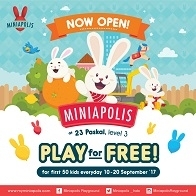 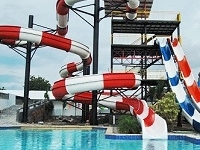 Come And Joining us in the Amazing Summer with Miniapolis. 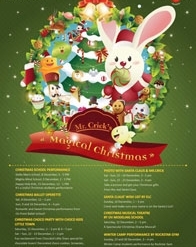 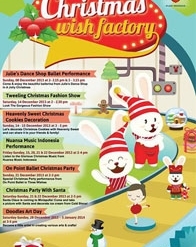 Mr. Cricks present Christmas Wish Factory, 8 - 28 December 2013 at Miniapolis Plaza Indonesia: Ballet Performance, Cookies Decoration, Fashion Show, Music Performance, Christmas Party with Santa & Doodles Art Day! 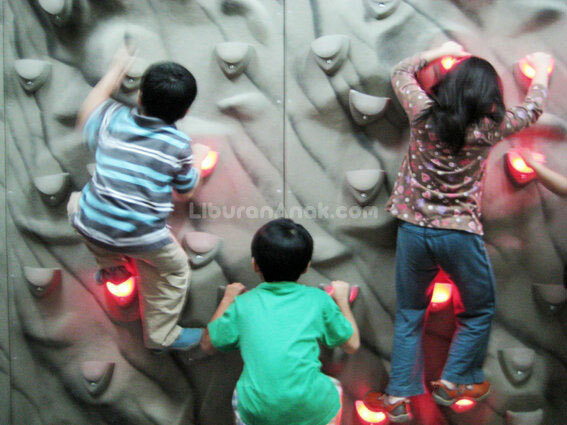 Your kids around 4-6 years old ? 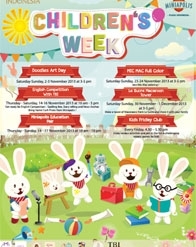 Join us in educational events. 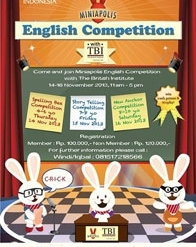 Spelling Bee Competition, 14 Nov 2013Show ur spelling skills & win cash prize! 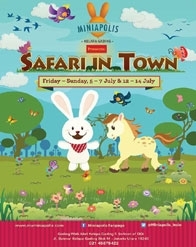 Ponies and their friend birds & butterflies will be back on Friday to Sunday at Safari in Town Miniapolis Kelapa Gading 12-14 July from 6 am-10 pm. 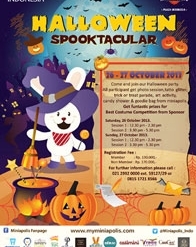 Make sure to prepare your hat and camera to be a little cowboy in town. 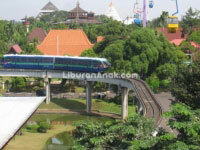 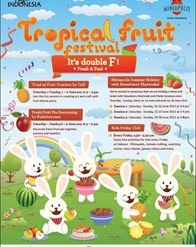 Tropical Fruit Festival, It's Double F: FRESH & FUN! 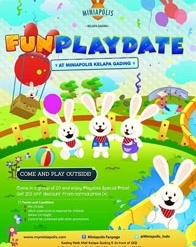 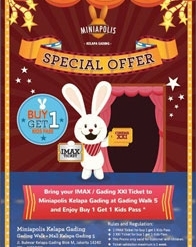 You are cordially invited to Miniapolis Kids Rockin' Runway at Miniapolis Corridor, Plaza Indonesia L3 on Saturday 25 May 2013 from 1-6pm. 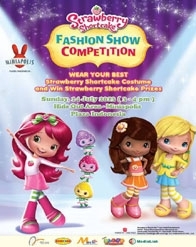 Kids fashion show every hour!! 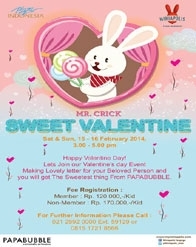 Limited seats available per hour. 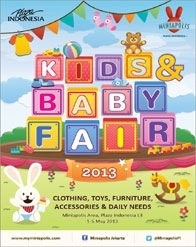 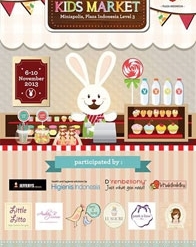 Fashion Show by Gingersnaps, Mothercare, Little Lita and opening fashion show by The Winners of Junior Fashion Designer 2013! 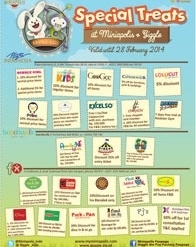 Come and get the special offers on the day! 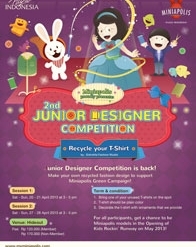 Join this competition and design your own recycled fashion style! 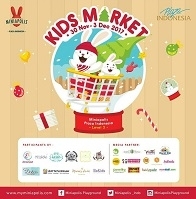 Bring 1 of your unused t-shirt any color, remake it on the spot, and get a chance to be a model in the Opening of Miniapolis Kids Rockin’ Runway on May! 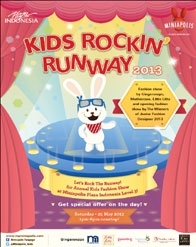 The winners will get trophy from Mr. Crick and will perform at Kids Rocking Runway !